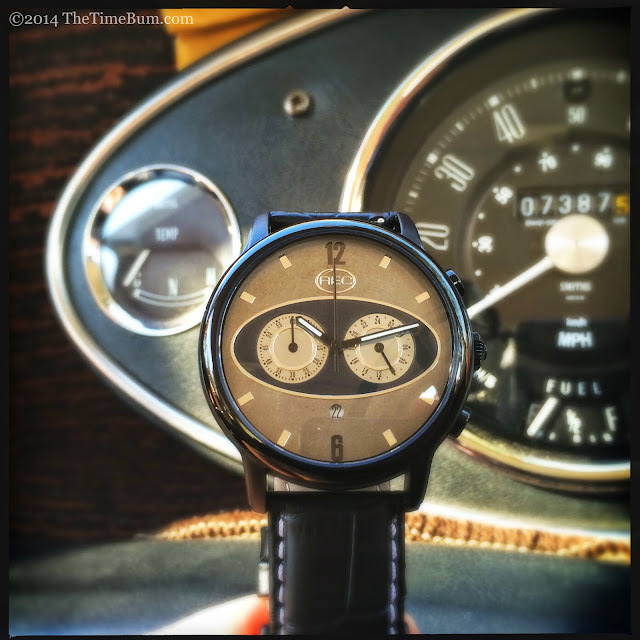 Cars and watches go hand in hand. 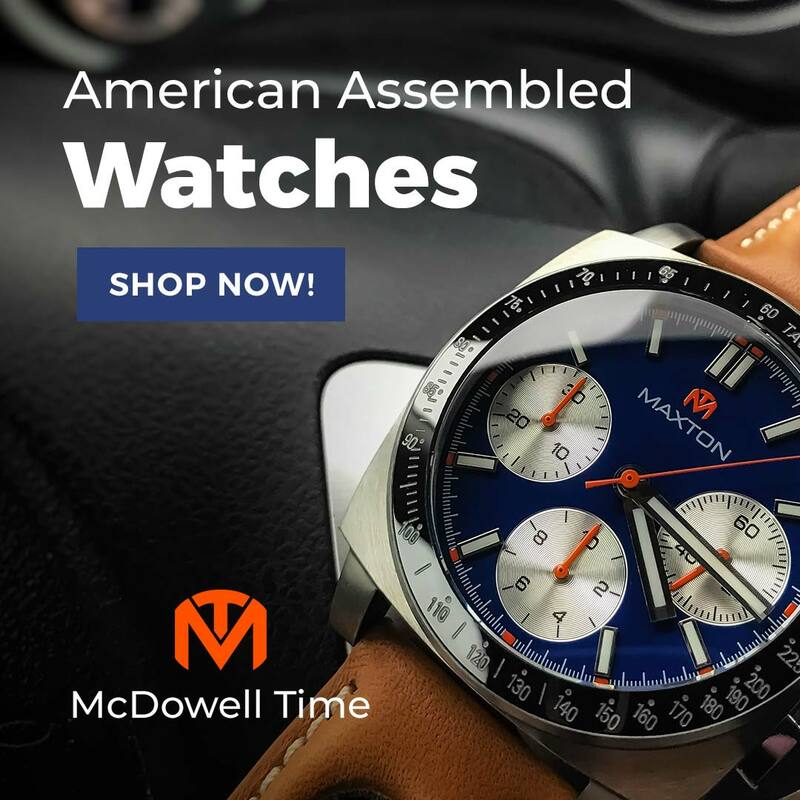 Even ignoring the obvious link between Motorsports and chronographs, you will find the two machines attract the type of admirer. REC Watches of Copenhagen has taken this association to the next level by actually using a car as raw material for a watch. For this review, they sent me a Mk 1 M4 chronograph, with a dial cut from a 1978 Morris Mascot, a BMC Mini model unique to Denmark. 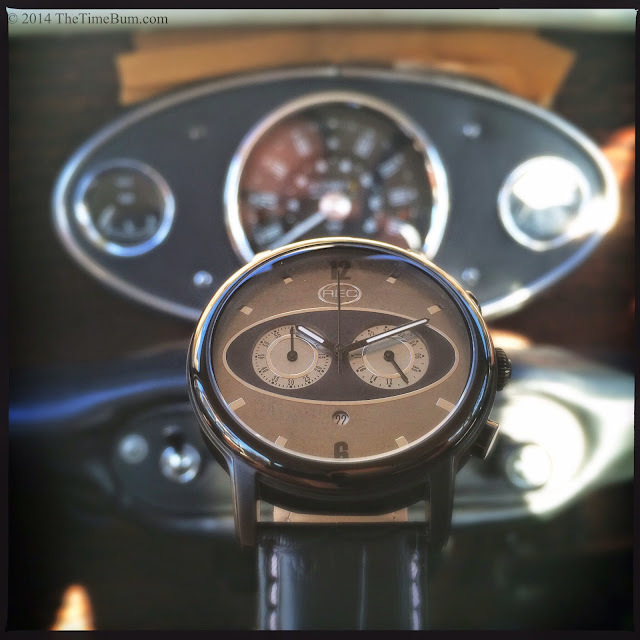 I could not review the watch without also getting a better feel for the car too. Lucky for me, I have a couple friends with a Mini problem. 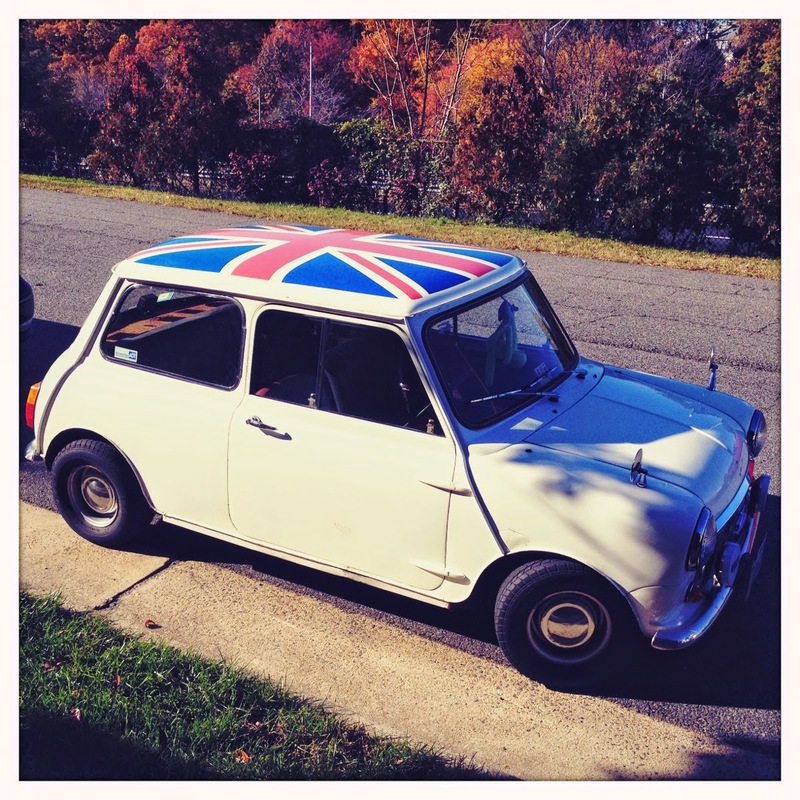 Among the many Minis in their menagerie is a Union Jack bedecked survivor, originally sold in 1967 in New Zealand, and later shipped to the US. It was only natural that I conduct my evaluation from within the Mini's surprisingly commodious confines. REC takes its name from recover, recycle, reclaim. Founders Christian Mygh and Jonathan Kamstrup are passionate about reusing found objects. They see the stories in old items and strive to incorporate that spirit into the final product. As a car guy, I get it. Our vehicles possess great character. As we drive them we discover their idiosyncrasies and learn their personalities. Of course, some cars have more soul than others, for example, the humble Mini. This tiny wonder was introduced in 1959 as a fuel-sipping economy car and was sold the world over, marketed under many names and constructed in several variants with total production topping 5.3 million cars over more than 40 years. The Mini was a motoring and cultural icon. Both Paul McCartney and George Harrison had one. So did Enzo Ferrari. Peter Sellers had his decked out by Radford with a luxury interior and wicker sides. Steve McQueen's was painted his signature metallic brown. Minis were the real stars of the original "The Italian Job." They were also giant killers in motorsport, winning the Monte Carlo Rally four times. Like I said, they've got soul - crazy, Swinging London soul. The REC Mk 1 honors its donor with both its design and the integrity of its material. Christian and Jonathan use metal from different parts of the car so the color and texture of each dial will vary. This dial's surface is a mottled grey-gold. The dial layout is drawn from the Mini's instrument cluster, a center mounted oval pod with a chrome ring, matte black center, and instruments set within. 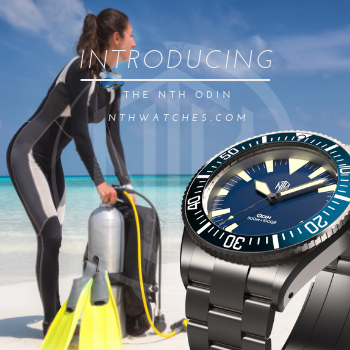 On the watch, the oval has an applied, polished ring with dual sub dials - the 60 minute and 24 hour registers of the Miyota OS21 quartz movement. They are rendered in silver with printed numbers in a radial arrangement like the car's speedometer, with applied rings at their centers. 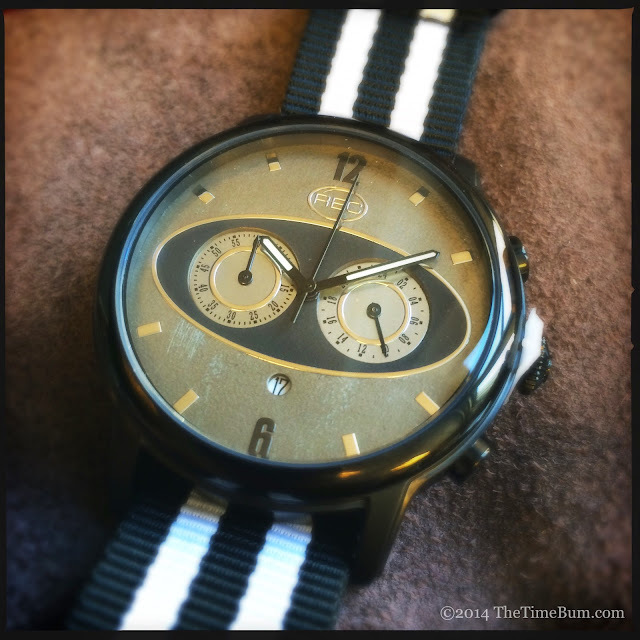 There is a nice balance to this dial, particularly as your eye travels down the center from the printed 12, to the oval REC logo, through the center of the "instrument pod" to the porthole date window and finally to the 6. The remaining hours are marked with applied metal rectangles. The hands are simple black batons and are the only parts treated with lume. 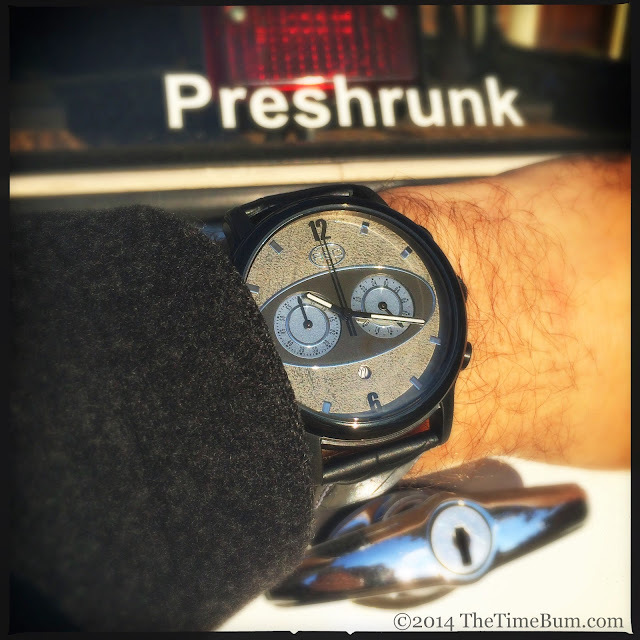 The car may have been mini, but the watch case is maxi - 44mm to be precise. It provides plenty of space to appreciate the big steel dial, and as you might expect, it wears large; however, the quartz movement keeps it light. The M4 has a black ion plated finish that is matte on the case and glossy on the bezel, which sets off the grey-gold dial nicely. 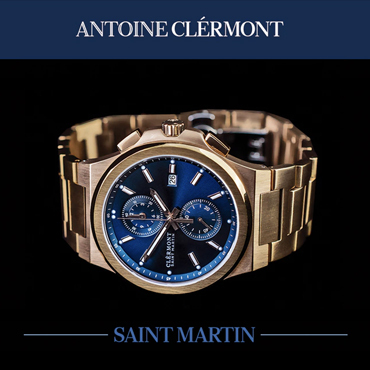 A large fluted crown sits at 3 o'clock, flanked by oblong chronograph buttons that operate with firm click. The lugs are curved downward and only slightly tapered. 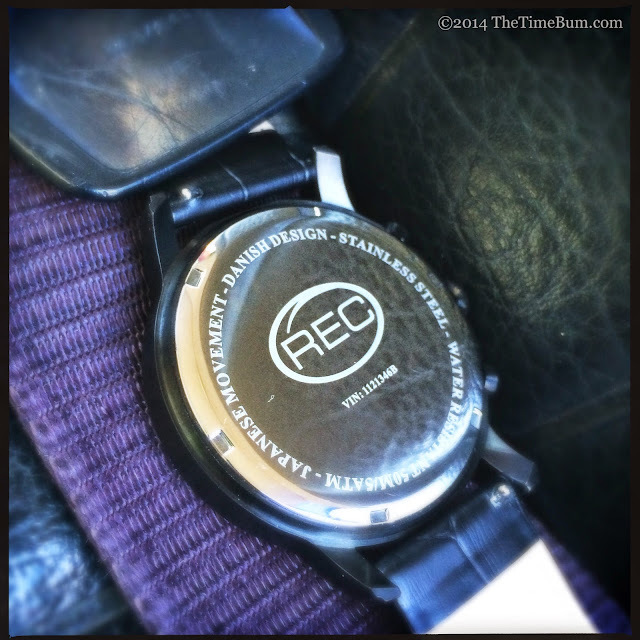 The case back is etched with the REC logo and some basic information including an identification number - not for the watch, but the car from which it came. VIN 1121346B was registered in Denmark in 1978 and sold to a Mini collector in 1999 whose plans for the car never materialized. It languished in a barn until 2013 when REC got a hold of it. They assure us that like all their donor cars, this one was a derelict that would never see the road again. 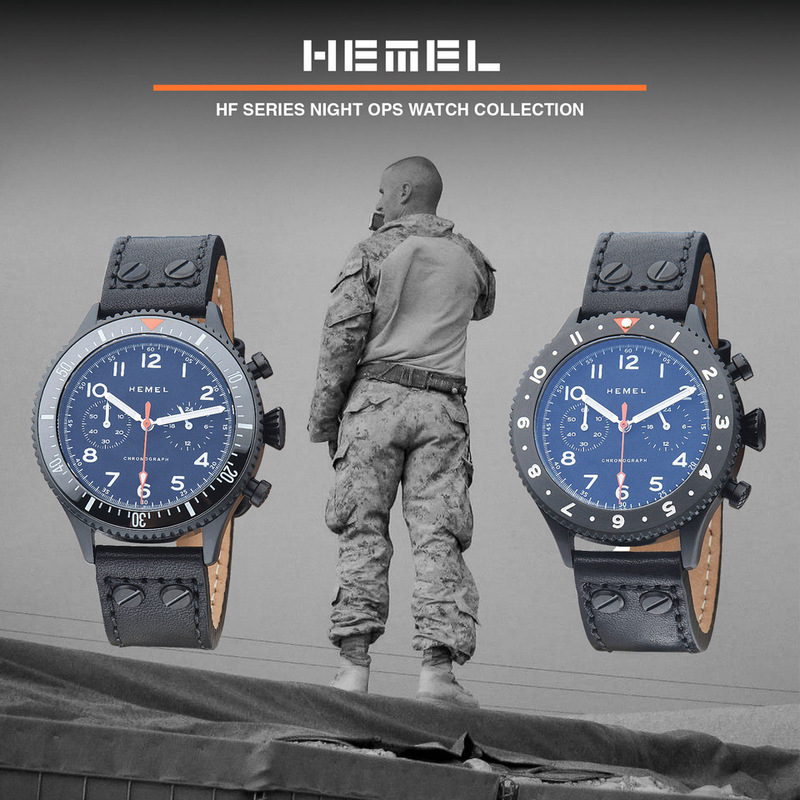 The manual for each watch contains the story of the donor car and a certificate of authenticity. The REC team has done an excellent job evoking the essence of the car. 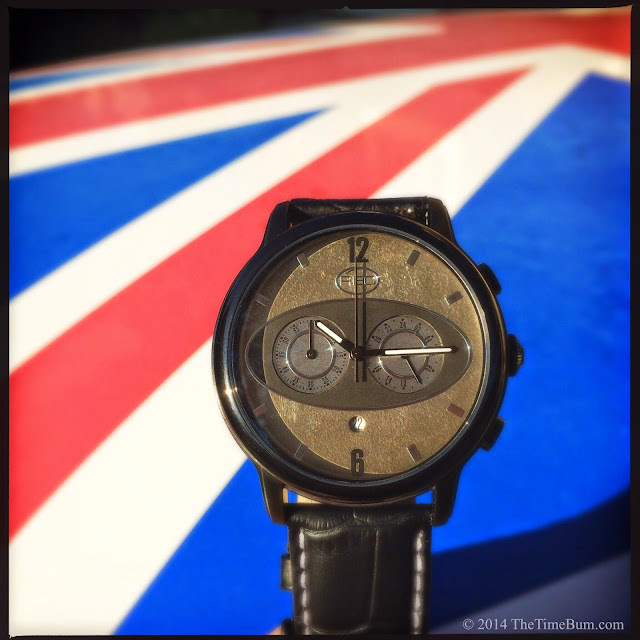 The watch is instantly recognizable as a Mini but does not look like a novelty or caricature. My Mini-mad friends were initially skeptical about how a Mini-themed watch would look, and surprised at how well REC captured it. 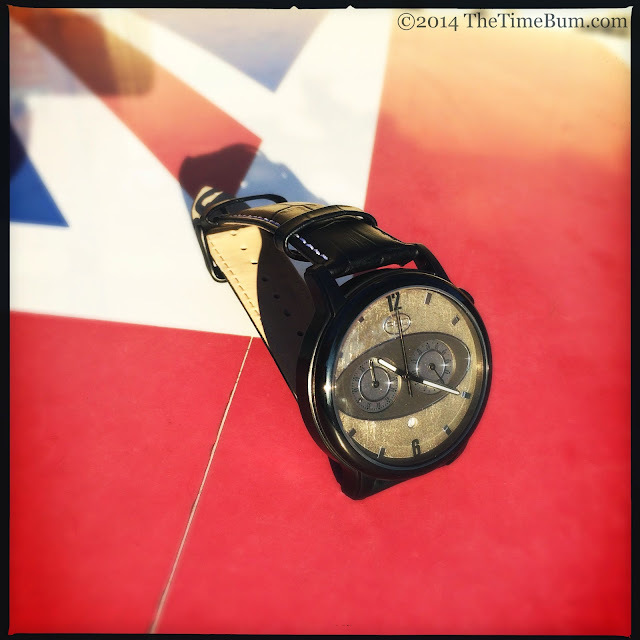 The REC Mk1 M4 is a fun watch that is brilliantly executed. It retails for $465 including VAT, $367 without. Pro: Perfect use of automotive design cues. Con: Could benefit from a different strap. Sum: Clever, cool, and Mini to the bone.